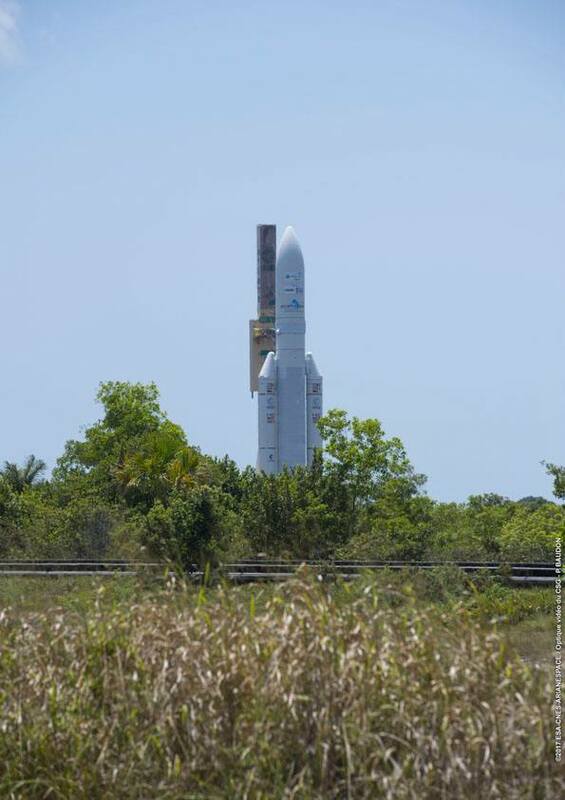 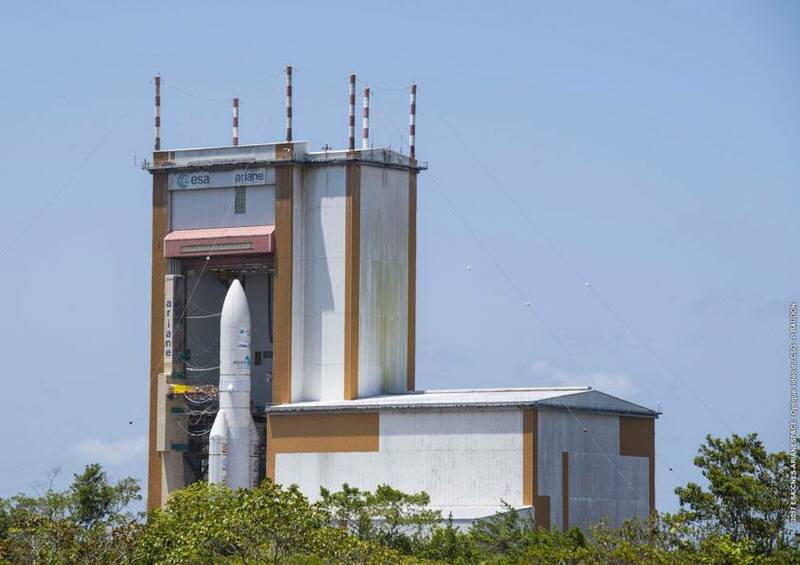 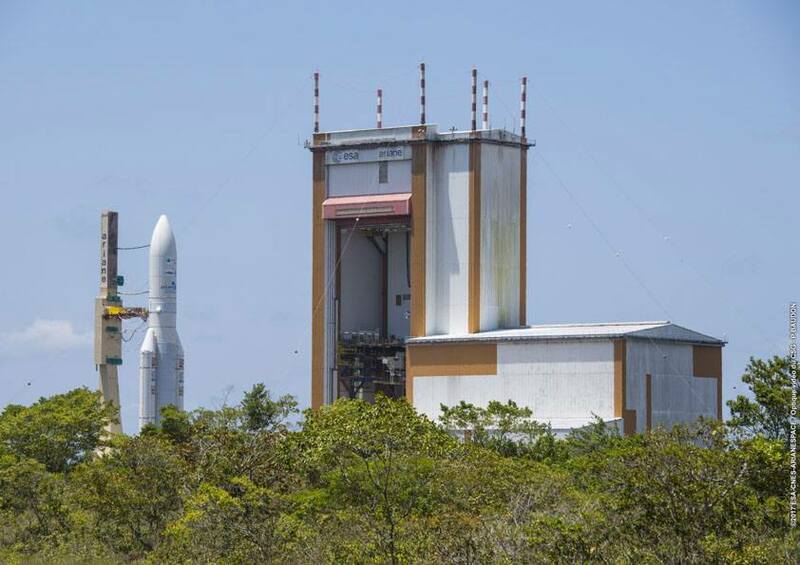 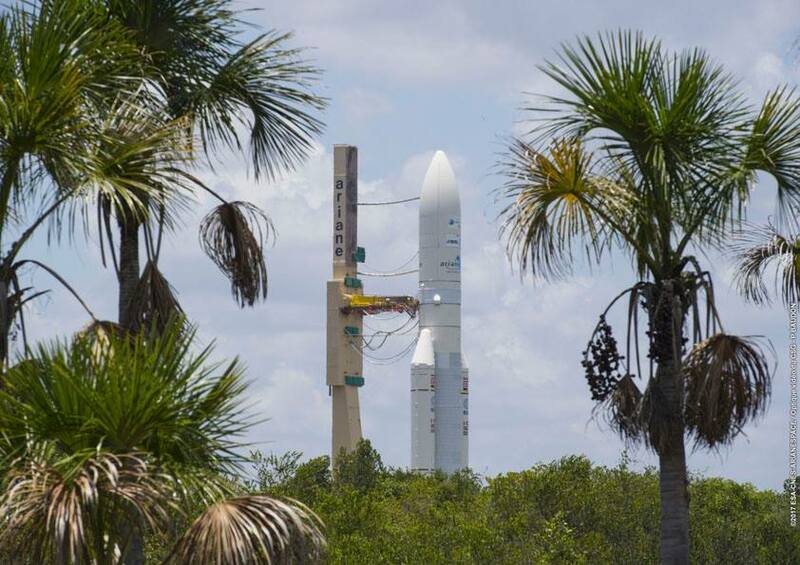 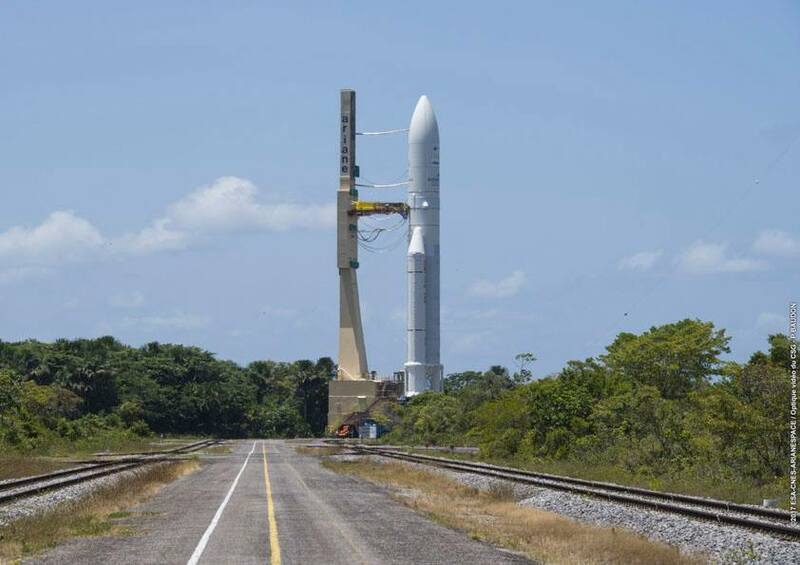 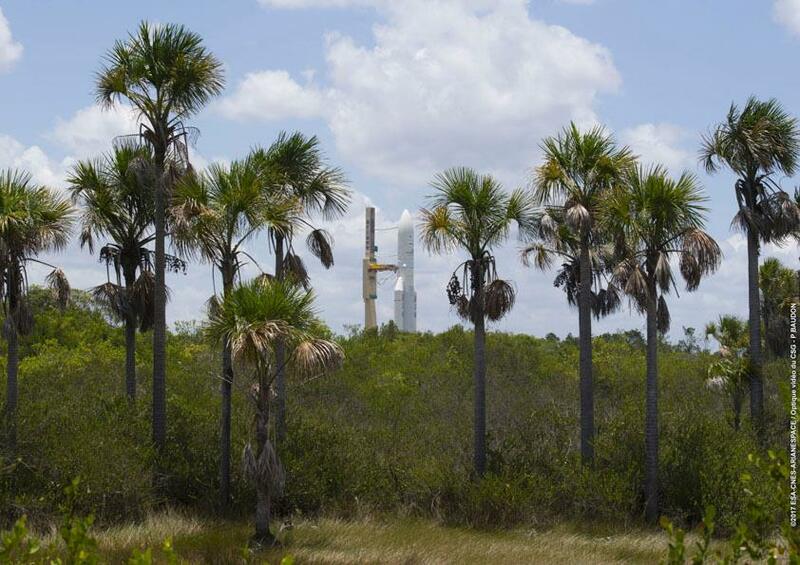 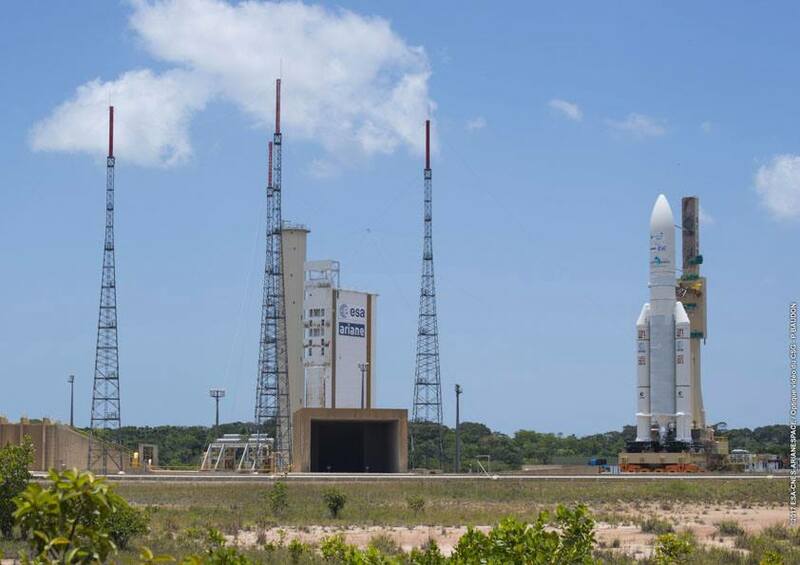 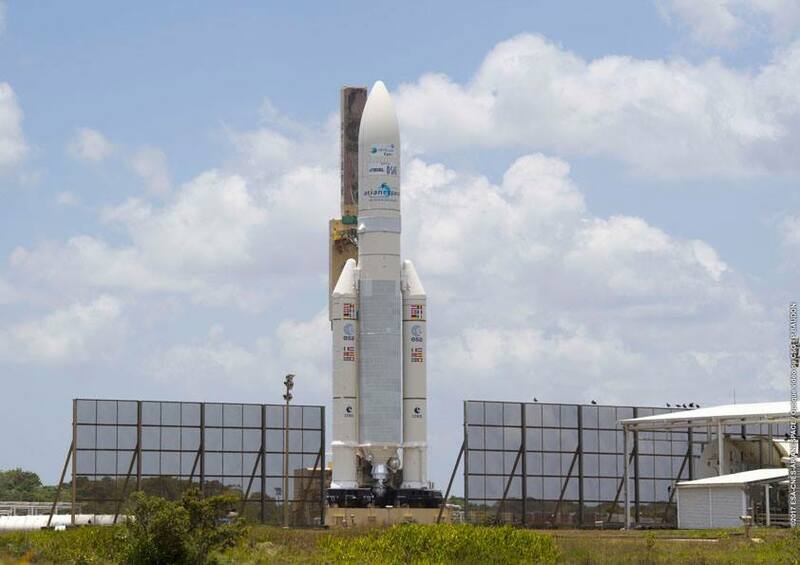 These photos show Monday’s rollout of an Ariane 5 rocket on a 1.7-mile (2.7-kilometer) journey to its launch pad at the Guiana Space Center in South America. 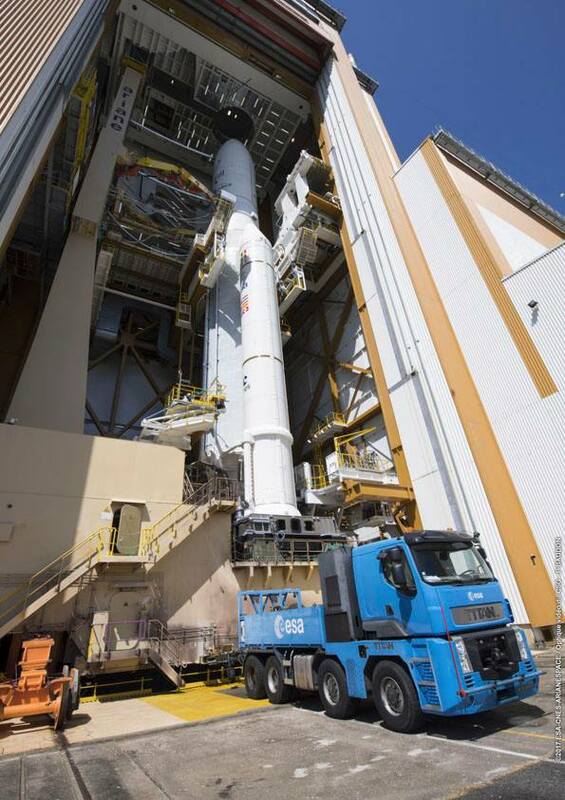 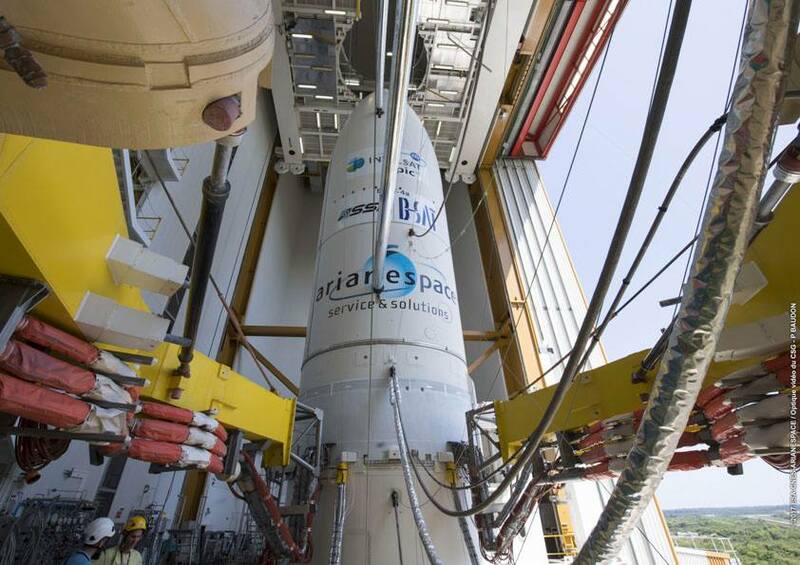 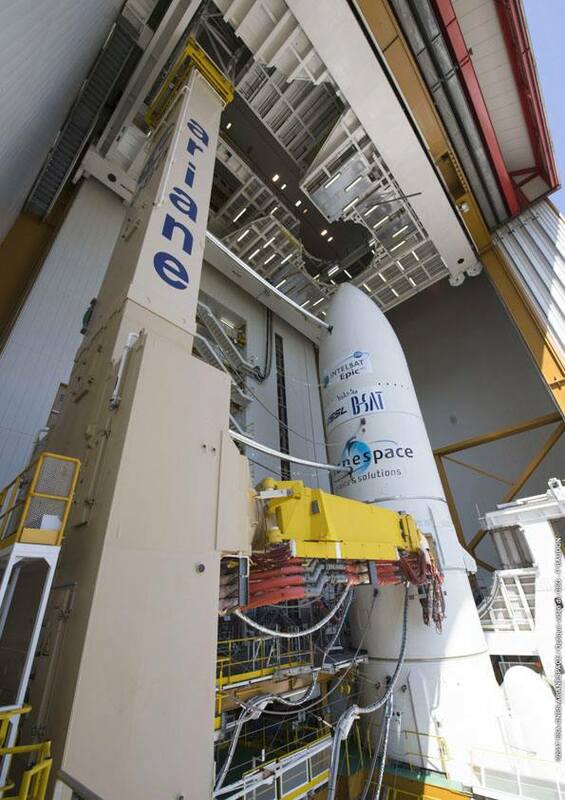 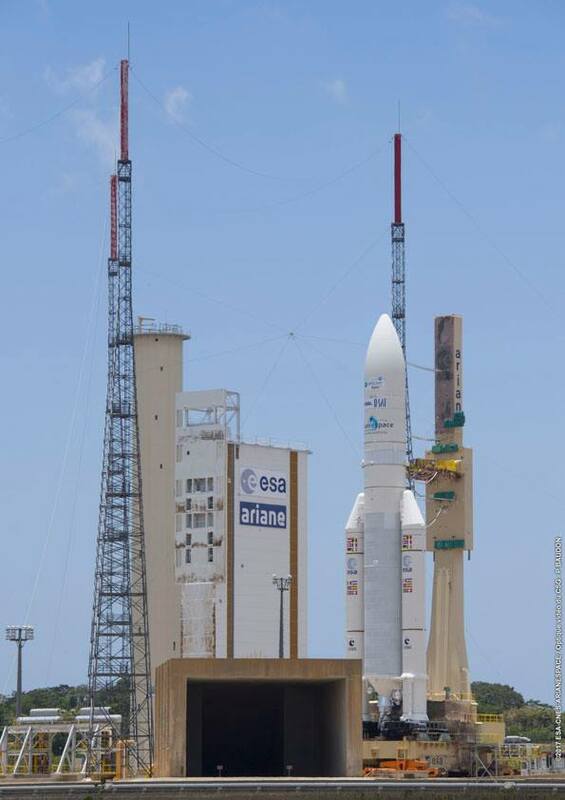 Towed along dual rail tracks behind a diesel-powered Titan tug, the Ariane 5 and its mobile launch platform were transferred from the spaceport’s final assembly building to the ELA-3 launch zone the day before the scheduled liftoff of the Intelsat 37e and BSAT 4a communications satellites. 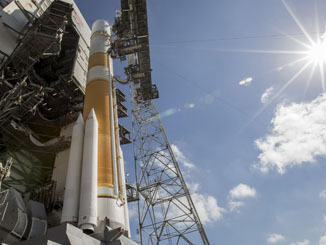 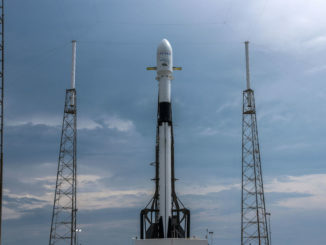 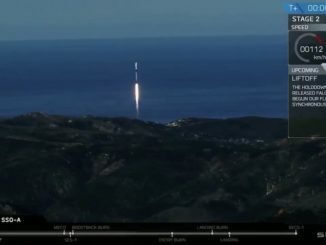 See our Mission Status Center for coverage of the launch.